For your Honda to continue running at its best, you’ll need to keep up with the recommended maintenance schedule. These routine service intervals are the easiest way for drivers across the Baldwin Park, Glendora, and La Puente area to prolong the life of their Honda vehicles. At Norm Reeves Honda Superstore in West Covina, you can find the Honda maintenance schedule you need to make sure that your vehicle is up-to-date on all factory-recommended maintenance and services. If you own a fairly new Honda model, chances are it’s equipped with the Honda Maintenance Minder System. This sophisticated technology allows the vehicle to monitor driving conditions, mileage, fluids, and other factors to decide when service is required. Prior to the Maintenance Minder System, drivers had to keep track of the maintenance schedule that typically came inside the Honda owner’s manual. Now the Maintenance Minder simply displays a maintenance code on the multi-information display whenever routine service is required. To make sure that your Honda gets the care it needs, simply locate the maintenance schedule for your specific model and click to access a detailed maintenance schedule. Keep in mind that the Honda Maintenance Minder System will automatically notify you with a short maintenance code whenever service is required. Those codes are also explained in detail in the Honda maintenance schedules located on this page. Don’t See the Honda Maintenance Schedule You Need? We’re constantly adding maintenance schedules to our library, but there’s a slight chance that we haven’t completed the schedule for your particular model. If that’s the case, feel free to contact our service department at Norm Reeves Honda Superstore in West Covina. Our team of automotive professionals will be more than happy to help you determine when your vehicle is due for a service appointment. If you’re in the Baldwin Park, Glendora, and La Puente area and you think your Honda may need some routine maintenance, schedule a service appointment today. 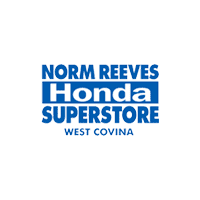 Norm Reeves Honda Superstore in West Covina	34.070366, -117.9056765.